Bill Gates (William Henry Gates III) is an American business magnate, co-founder of the Microsoft Corporation, author, investor and philanthropist. Paul Allen and Gates launched Microsoft in 1975, which became the world’s biggest PC software company. He held the positions in Microsoft as CEO, Chairman and Chief Software Architect. He became one of the richest men in the world. In 2014, Gates announced that he abdicated it as Microsoft’s chairman to focus on charitable work at his foundation, the Bill and Melinda Gates foundation. Gates was born on 28 October, 1955 in Seattle, Washington. William H. Gates Sr and Mary Maxwell Gates are the parents of Bill gates. He has one older sister, Kristi and one younger sister, Libby. His mother served on the board of directors for First Interstate Banc System and the united way and his father was a prominent lawyer and his maternal grandfather was JW Maxwell, he served a national bank president. At the age of 13, Gates joined in the Lakeside School. He was excellent in Science, Maths and doing very well in drama also. His parents wanted him to become a lawyer but Gates was interested in computers. When he was in Eighth grade, a Seattle computer company offered to provide computer time for the students. The Mother's Club used proceeds from the school's rummage sale to purchase a teletype terminal for students to use. Gates took interest on General Electric programing. He wrote a tic-tac-toe program in BASIC computer language. He learnt various programs that ran on the system including programs in Lisp, Fortran and Machine language. Gates wrote a program to schedule students in Classes. At the age 17, Gates and Paul Allen started a small company called Traf-o-Data to make traffic counters based on the Intel 8008 processor. Bill Gates enrolled at Harvard University in 1973. He studied Mathematics and Computer Science courses and he was fascinated in his own coding. When he saw an opportunity to find his own company, Gates left out of Harvard without finishing his course. Bill Gates married Melinda French on 1 January 1994. Jennifer Katharine, Phoebe Adele and Rory John are the children of Bill and Melinda. In 1975, Bill Gates and Paul Allen formed Micro-Soft. It was culminating in approximately $2.5 million in 1979. Gates reviewed every line of code and he was also involved in many aspects of Microsoft’s business such as packing and sending off orders. In 1980 IBM (International Business Machines Corporation) approached Microsoft for a new BASIC operating system for its new computers. Microsoft worked hard to sell its operating systems to these other companies. Microsoft released its first version of Windows in 1990. This was a development in operating software as it replaced text interfaces with graphical interfaces. Windows became the most popular operating system in the world with a graphical Interface. In 1995 Windows 95 was released. This version of windows is the basis of all future releases from windows 2000 to the latest XP and Vista. Bill Gates established the Bill and Melinda Gates Foundation. Bill and Melinda Gates gave over $28 billion to charity and they were the second most generous philanthropists in America in 2007. The foundation is organized into four program areas: Global Health Division, Global development division, United States Division and Global policy & Advocacy Division. The foundation supports the use of genetically modified organisms in agricultural development. Gates donated $20 million to the Massachusetts Institute of Technology for the construction of a computer laboratory in 1999. Gates gave $1 billion to a clean energy project in 2015. 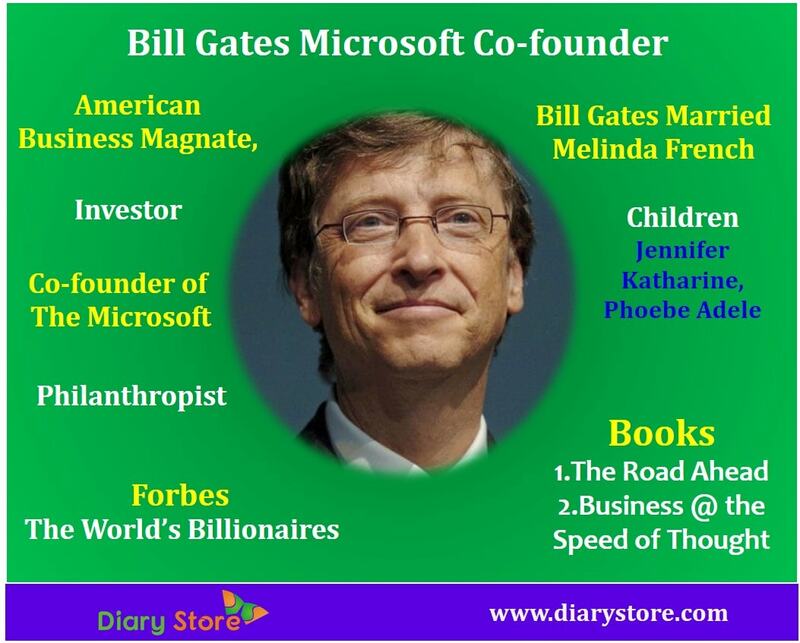 Gates was listed as a Billionaire in Forbes Magazine’s 400 richest people in America issue in 1987. Since 1987, Gates has been included in Forbes “The World’s Billionaires” list and was the wealthiest person from 1995 to 1996, 1998 to 2007, 2009 and has been since 2014. 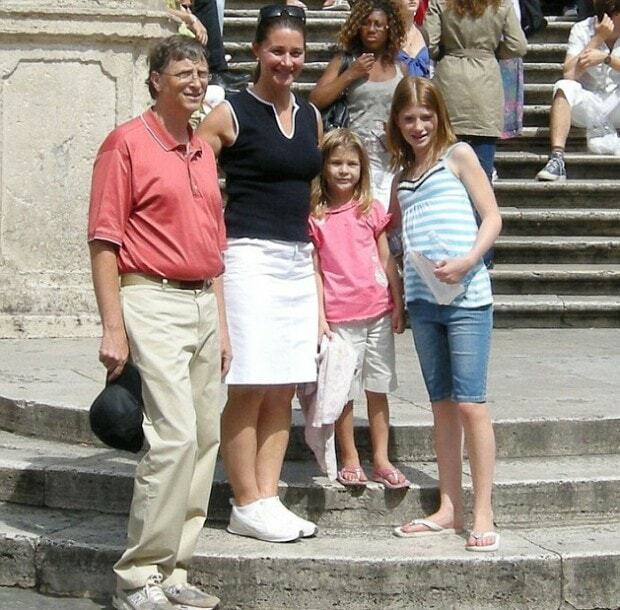 Bill and Melinda Gates received the Jefferson Award for Greatest Public Service Benefiting the Disadvantaged in 2002. Gates received the James C. Morgan Global Humanitarian Award from The Tech Awards in 2006. Gates, along with his wife Melinda, received the Padma Bhushan, India's third-highest civilian award for their social work in the country in 2015. President Barack Obama honored Gates and his wife Melinda with the Presidential Medal of Freedom for their philanthropic efforts in 2016. President François Hollande awarded Bill and Melinda with the France's highest national award – Legion of Honour in Paris for their charity efforts in 2017. Gates received Bower Award for Business Leadership from The Franklin Institute for his achievements at Microsoft and his philanthropic work in 2010. Gates has received honorary doctorates from Nyenrode Business Universiteit, Breukelen, The Netherlands, in 2000; the Royal Institute of Technology, Stockholm, Sweden, in 2002; Waseda University, Tokyo, Japan, in 2005; Tsinghua University, Beijing, China, in April 2007; Harvard University in June 2007; the Karolinska Institute, Stockholm, in 2007, and Cambridge University in June 2009. He was also made an honorary trustee of Peking University in 2007. Book-1: The Road Ahead, written with Microsoft executive Nathan Myhrvold and journalist Peter Rinearson, was published in November 1995. Book-2: Business @ the Speed of Thought, which discusses how business and technology are integrated, and shows how digital infrastructures and information networks can help getting an edge on the competition. It was published in 1999.